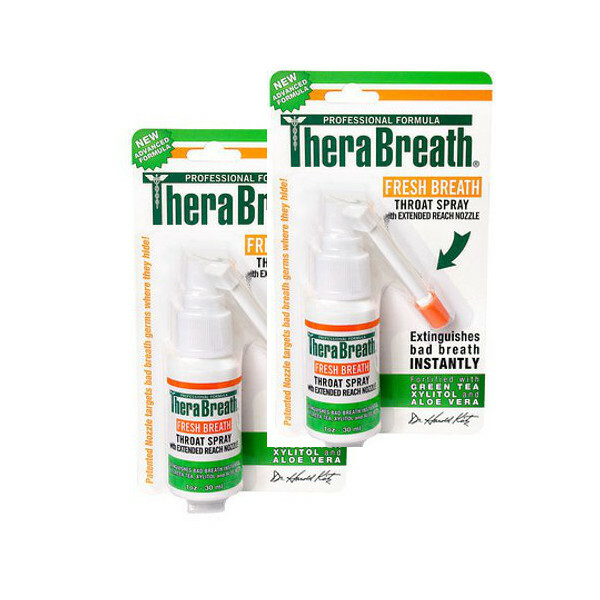 For Instant Relief and complete confidence, Therabreath throat spray instantlly neutralises the bacteria, giving you fresh breath on contact. 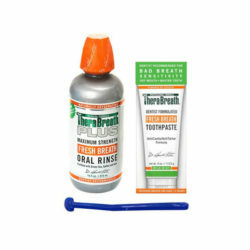 Instant fresh breath that lasts with Therabreath’s clinically proven fresh breath spray. 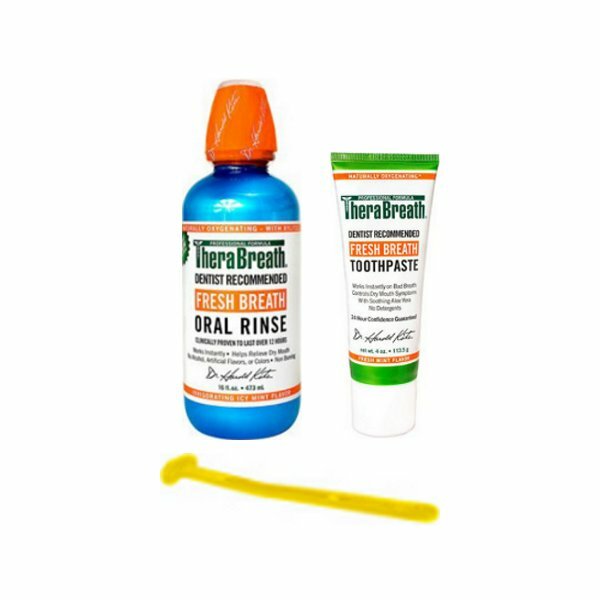 Therabreath Throat spray is the ideal product to combat bad breath that emanates from the back of the throat or tonsils by delivering a powerful dose of Therabreath active ingredients right at the source of the problem to neutralise sulphur production. 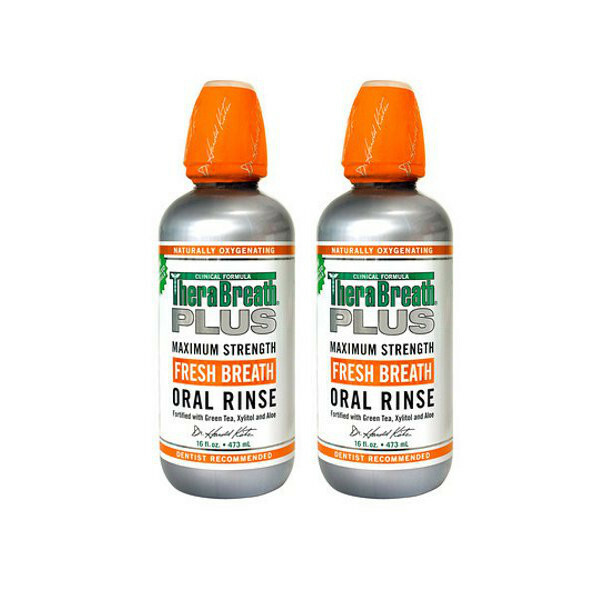 Reach the hard to get to areas like the very back of your throat and tongue which are fertile breeding grounds for the ana3erobic bacteria that cause bad breath. After you have brushed and rinsed with Therabreath toothpaste and oral rinse, extend the nozzle and place it at the back of your tongue. Squeeze out two bursts of the formula onto the very back of your tongue and then bring the nozzle into the middle of your mouth and squeeze out one final burst for complete fresh breath confidence. 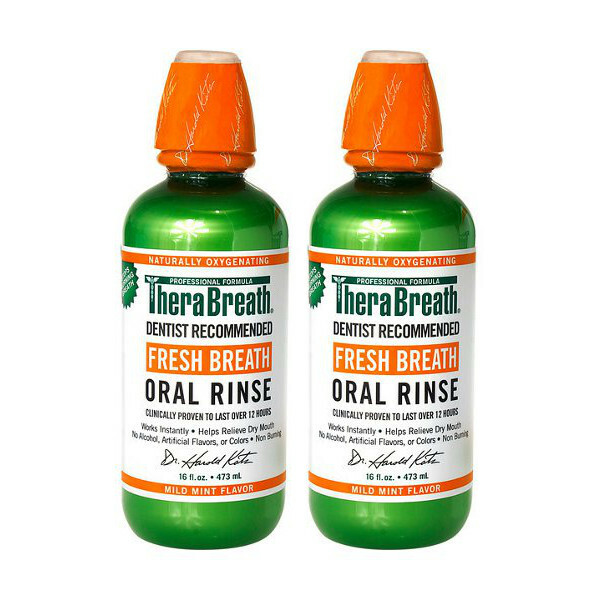 Therabreath throat spray can be used as often as it is needed during the day to freshen your breath. Therabreath throat spray does not contain: Alcohol, Saccharin, Sodium Lauryl Sulphate (foaming agent), and Benzalkonium Chloride (an allergen). Please see the individual products ingredient lists for ingredient details.